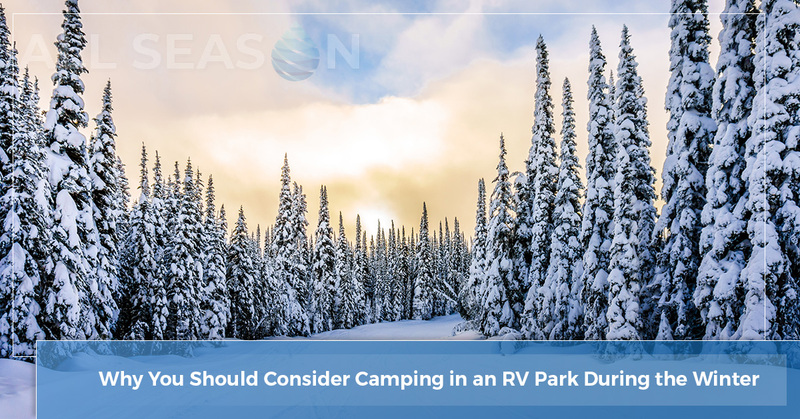 Despite the challenges camping in the winter brings, it can be the best time to camp in a recreational vehicle, travel trailer, or RV camper trailer. With empty campgrounds, providing a feeling of solitude you may be craving, to near-empty National Parks, affording the ability to see the Grand Canyon as if you were the only one seeing it, there are many benefits to winter camping. All Season RV & Trailer Service in Monroe, Indiana, offers RV and RV repair as well as winterizing and summerizing your RV, motorhome, camper, and travel trailer. Contact us today! Empty campgrounds. Finding an RV park during the summer months can be challenging. You might have to book weeks ahead of time, especially if you are visiting a popular area or tourist spot. RV camping in the winter allows more spontaneity to your camping trip, which is great if you are unsure what your life holds in the next day, let alone in the next few weeks. Furthermore, you usually get the choicest spots, along the river or up against the mountains instead of a corner spot next to the outdoor bathrooms. The not-sounds of nature. Admittedly, we all love to hear the birds chirp in the spring and summer and the crickets sing at night. Yet part of the magic of winter is the silence. In silence, you find yourself and can listen to what your dreams are telling you — very important when setting New Year Resolutions. Huddled in your warm camper with a hot cup of cocoa, watching the snow fall with no other sounds, is a way to connect with nature and yourself most of us crave in this busy, noise-filled world. Moreover, you won’t have bugs to deal with as well, which can ruin the perfect summer camping experience. Unobstructed views. Want to see bald eagles, hawks, and geese? RV camping in the winter when the trees are bare allow you to see more wildlife. Catching glimpses of moose, elk, deer, and foxes are easier as well without leaves and tall grass hiding them. And if you’re considering a visit to a popular National Park such as Yellowstone or the Grand Canyon, seeing wildlife will be easier as well with less tourists, less foliage, and more opportunity as the animals are out foraging for winter fare.The stars are brighter as there will be less people around with lights on near you. Holiday travel is made easier. The major holidays of Thanksgiving, Christmas, and New Year’s all happen in the winter. If you want to avoid the holiday rush, consider taking your RV on your next visit to see family and friends for the holiday. You won’t have to worry about imposing on family or finding a reasonably-priced hotel room, nor will the cost of airfare interfere with the amount of money you can spend on family for gifts. Plus, with so many people visiting family over the holidays, the holidays can be a great time to get away as well and enjoy the solitude of empty National Parks and campgrounds. All Season RV & Trailer Service believes in the value of RV camping during all seasons, including winter. If you’re considering venturing forth to explore Nature during the winter months, get your RV and camper trailer inspected by us with our Travel Package. We’ll make sure everything is working before your trip and fix whatever is not, including the water pump, tires, propane, lights, jacks, smoke alarms, and power outlets. We’ll make sure your seals are good, and nothing is leaking. All Season RV & Trailer Service near Fort Wayne will make sure your winter camping trip is nothing less than perfect. Visit us today!